Since our inception in Gujarat, India, we “Pickwell Textile Machinery” have carved a niche par excellence in the textile market as the leading provider of Textile Machineries like Water Jet Looms, Air Jet Looms, Rapier Looms, Circular Knitting Machines and Shuttle Looms. The name Pickwell itself symbolizes the best in innovation, creativity and technological mastery. Pickwell has proved its name by providing innovative, creative and latest ground- breaking technology and even better, after sales service in the Indian Market. Pickwell has been at the forefront of technological development and harnesses a culture of continuous enhancement to deliver technical expertise in the field of textile. With 30+ years experience in the Textile Field, Pickwell is fully equipped with highly skilled professionals and world class infrastructure facilities. We strive to provide our clients the best technical support through improved technologies and assist them to enhance production capacities while simultaneously reducing manufacturing costs thus, providing cost-effective solutions for leading companies with global ambitions. To serve the growing needs of textile industry across the globe, we constantly upgrade our product range and technology to stay ahead of the competition while maintaining international standards. Providing best textile machinery at par with the international standards. 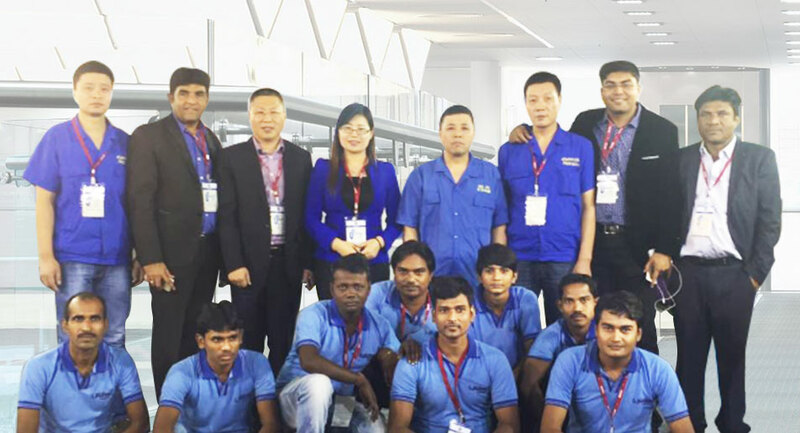 We are getting closer to the goal with Our Trained Manpower with Technological Advancement. Pickwell is well-equipped with Thoroughly knowledgeable personnel who strive to provide our clients the best technical support through improved technologies and assist them to enhance production capacities while simultaneously reducing manufacturing costs thus, providing cost-effective solutions for leading companies with global ambitions. Copyright © 2017 Pickwell Textile Machinery | All Right Reserved.